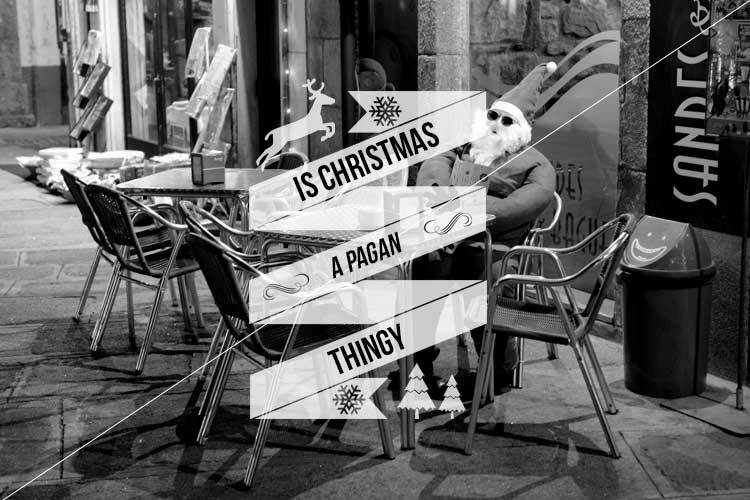 Is Christmas a Pagan thingy? So it’s Christmas and you are looking forward to this time of year, the gifts, the food and crazy family. As your excitement grows, your friends tell you that they aren’t celebrating Christmas ‘coz it’s not biblical and if you do it you are not a christian but the devil (insert evil laugh). So you feel depressed and confused ‘coz you want to do what is right but then again, what is right? When you study church history, you will notice that some holidays, such as Christmas, the Christians didn’t agree with the pagans and their celebrations, so they wanted to provide an alternative. Christians were uncomfortable with the thought of the worship of a pagan god, Mithra (for example) over the December period. So the church decided to counter the pagan festival with one of their own, one that celebrates the birth of the true savior. Since no one knows on just which day Jesus was actually born, December 25 worked as well as any other. Hank Hanegraaff correctly wrote this, “The real question that must be addressed is, ‘What was the church’s intent in choosing December 25 for the celebration of Christmas in the first place?’ The answer may surprise you! The early church chose this date to point to the victory of Christ’s birth over the pagan traditions of the Roman Empire. In other words, the church was not endorsing a pagan ceremony but establishing a rival celebration. Today the world forgotten the pagan gods of Rome, but at least a billion people celebrate the Christ of Christmas. Yes there might be a few similarities in our faith and other pagan religion. We need to be careful because building on similarities while ignoring differences is not wise. As Christians, we don’t reject prayer or baptism just because pagans pray to their gods and have similar rituals. In the Bible we find things like raising our hands, kneeling in prayer, a holy mountain, a temple, pillars, offering sacrifices, an ark, getting water from a rock, laws on stone, the offering of first fruits and fire appearing on a person’s head. Yet, at some stage, similar things were known among pagans. Does this mean the Bible is pagan? Of course not! Just because I wear a similar shirt or have a similar phone as someone else, it doesn’t mean I believe and behave the same as that person. Similar but different. You might have a similar parent as your brother or sister but just because they get convicted of a crime doesn’t immediately mean you are a criminal. You will be very surprised when you do a little bit of research how pagans and other religions actually copied from Christianity and not the other way around! If you want to celebrate Christmas, go ahead with a clear conscious but if your conscious isn’t clear then don’t do it Paul would say. The Bible doesn’t say you must or mustn’t, so then don’t make it a law for someone else. As long as we celebrate the birth of our Saviour Jesus and not a pagan god, you will be fine. They Angels celebrated the birth of Jesus and so should we!